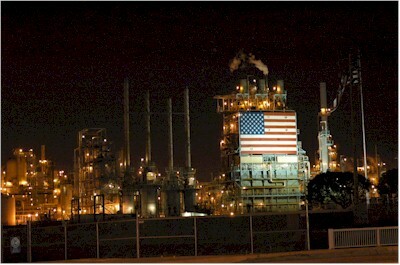 Refinery at night. We had a nice visit up north to this refinery today and yesterday. They run a very good environmental program, despite dealing with huge quantities of oil and other hazardous materials. The people there are quite nice as well. Overall, it was a very pleasant experience, except for the long drive up and back both days.